This is a moving book of three German women before, during and after World War II. They each face choices on dealing with Nazi evil, and their choices resonate for the rest of their lives. 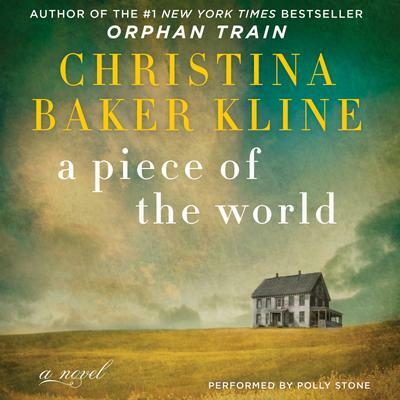 The audiobook features great narration by Cassandra Campbell. You can download the digital audiobook for free on Independent Bookstore Day, April 29, 2017. Go to http://bit.ly/ggp-newaccount to sign up to get your audiobook on April 29. 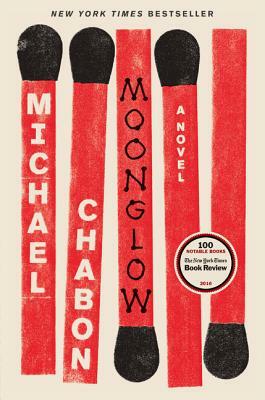 Pulitzer Prize-winning author Michael Chabon's new novel, Moonglow, is now on sale on our front table. Come pick up a copy. It is a wonderful book! His best since Kavalier and Clay! It has it all: giant snakes, rockets, family mysteries, love stories, and Nazis! Montclair blogger Barbara Falconer Newhall writes about Anne Lamott's talk about her new book, Help, Thanks, Wow, at Montclair Presbyterian on Nov. 15. Go to "Anne Lamott on Getting Older -- Drop the Rock!" Heather Donahue was our guest recently for a reading from her book "Growgirl." We recommend Barbara Falconer Newhall's great post about the book - check it out here. In his sixth novel, Coral Glynn, Peter Cameron tells an almost love story with an unsettling tone. In her review on the NPR radio program, Fresh Air, Maureen Corrigan writes "everyone is courageously repressed; women wear drab colors like "fawn," and the kettle is always on. Pull up a chair by the fire and settle in, but don't get too lulled by the domestic setting, because Cameron's writing is full of sharp angles and unanticipated swerves into the droll and the downright weird." Robin went up to the bar and got two more pints of ale. As he sidled back across the crowded room, he saw his friend sitting alone at their little table in the dim lamplight, staring down at his two hands, which were placed before him on the table-top. He appeared to be studying them for some obscure reason, as if he might be asked to identify them from a large assortment of severed hands at some later date. Robin stopped for a moment, struck by the beauty of Clement's sad face, and felt his love for his friend as an almost unbearable pain. Highly recommended. You can order your copy here from A Great Good Place for Books. There is an interesting interview with Simon Johnson, a co-author of "White House Burning: The Founding Fathers, Our National Debt, and Why It Matters to You" on NPR's Planet Money podcast. In the book and the interview, Johnson argues that we need to let taxes rise to pay for the social services that most people want. He calls his message an "unpalatable truth" that is not making friends on either the left or the right. Buy the book at Great Good Place for Books by following this link: "White House Burning: The Founding Fathers, Our National Debt, and Why It Matters to You"
Listen to the podcast at this link: We're Headed For A Fiscal Cliff. Should We Jump? 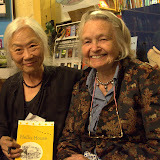 Maxine and Phyllis enthralled a capacity crowd at GGP with readings from their new book, Hello, House, and other works. "Can I come over and borrow a cup of words?" was a quote from their days as neighbors in Hawaii.